By Glen Paul Hammond, M.A. The disposal of the estates of Gerald Fitzgerald, fifteenth earl of Desmond, and his retainers occurred from 1584 to 1589. It became known as The Plantation of Munster and its main purpose was the 'reduction of Ireland to civility and good government' (Dunlop, 250). point out what a benefit it would be to the ‘younger houses of gentlemen’ to obtain land on such easy conditions as were set down in the plot, ‘and to have the manrode of so many families, and the disposing of so many good holdings,’ being ‘a thing fit for gentlemen of good behaviour and credit, and not for any man of inferior calling’ (256). Queen Elizabeth herself, it is said, 'caused letters to be written to many of the principal country gentlemen in England, urging them to send their younger sons to settle there.' (Bennett, 4). The favourite recruitment spots of the commission were Dorsetshire, Somersetshire, Devonshire, Lancashire, and Cheshire, yet undertakers were also culled from Essex, Hampshire, and Pembrokshire (Dunlop, 256). It is, therefore, difficult to ascertain from which part of England the Radley family originated; what is certain, however, is that in 1586 they were amongst the first 86 families to participate in the 12,000 acre seignory of Phane Beecher and, as such, they eventually settled the Barony of Kinalmeaky. In about 1676, the first reference to the Radleys being of Knockrour can be found in Burke’s listing of a marriage between Donough MacDermod MacCarthy of Dooneen and Jane Radley of Knockrour. This important union joined the protestant Radleys to a powerful cadet branch of the MacCarthy family that could trace their own lineage back to the famed Lords of Muskerry, the MacCarthy Mor and the great Eóghanacht kings of old. Click to enlarge the photograph. By 1711, Francis Radley (the nephew of the above Jane Radley) had taken over the lifetime lease of all 576 acres of Knockrour, and it was this property that became the centre-point of all Radley holdings in the County of Cork. Through their estates and other important marriage alliances (with such families as the Purdons of Ballyclough, and the Leaders of Keale and Mount Leader), the Radleys of Knockrour became a firmly established part of the Protestant Ascendancy in Ireland. Just one year after the death of his father, Francis, the eldest son and heir to the Radley estate, Thomas Radley, died in 1750; with no male heir, the property soon fell into a legal quandry that saw the four daughters of Thomas and the two surviving sons of Francis Radley (Richard and John) in a series of legal disputes that lasted for more than a decade. By the 1770s, however, circumstances and an advantageous marriage alliance allowed Richard Radley, the second eldest son of Francis Radley, control over most of the Knockrour property. Burke’s pedigrees report that this same Richard Radley married three times; he died in 1782. 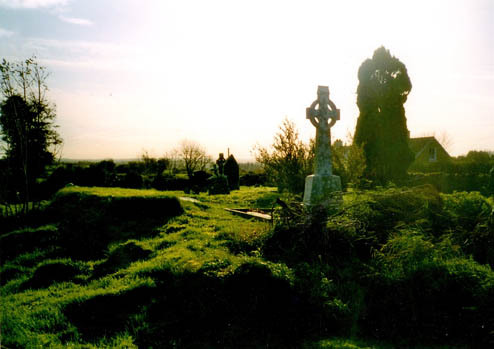 Physical records attest that Richard Radley’s second wife, Ellen MacCarthy of Dooneen (granddaughter of the above Jane Radley), and their only son, Francis, predeceased him. As a result, the Knockrour estate was inherited by his namesake and next eldest son, Richard, by his third wife, Margaret Barry of Oughtiherry. Richard Radley, son of Richard by his third wife, Margaret Barry, was born in 1776. Two years older than his brother, Thomas, who would establish himself in Rockville, and one year older than his late half-brother’s son, Richard Francis, Richard Radley of Knockrour would come out of his minority in the mid 1790s to inherit much of his father’s estate. In 1803, at St Peter’s Church in Cork City, he married Mary Milner-Barry, the sister of famed Cork physician John Milner-Barry. 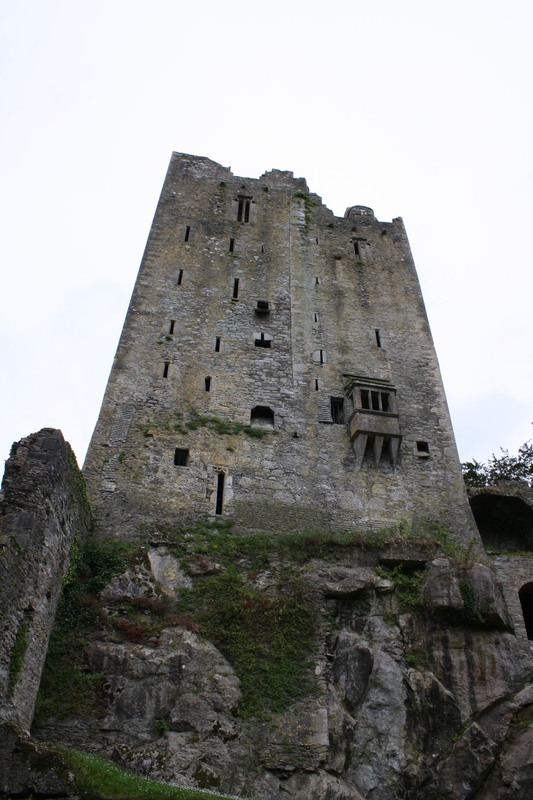 Descended, through his mother, from one of the cadet branches of the house of Barrymore, Richard Radley’s marriage also meant that his three children would carry the blood of the Dalcassian kings through Mary Milner-Barry’s own descent from the O’Briens of Kilcor. In October 1796, Richard Radley became one of the fourty-four initial recruits of The First Troop of the Muskerry Legion of Yeomanry Cavalry. It is possible that in 1814 he achieved the rank of Lieutenant (Leader). In November of 1803, his younger brother, Thomas Radley, was also admitted into the 1st Muskerry Cavalry; he would eventually achieve the rank of captain. In 1814, a year before his death, Richard Radley’s Knockrour holdings were large enough for him to be included in Ambrose Leet’s A Directory to the Market Towns, Villages, Gentlemen’s Seats, and Other Noted Places in Ireland. Richard Radley, Esquire of Knockrour was buried on 7 January 1815 on the Protestant side of the Agabullogue graveyard in the Radley tomb. Three children were produced from the marriage of Richard Radley and Mary Milner-Barry. The eldest was Margaret, who married William Thomas Daunt in 1829 and predeceased her husband, dying sometime before 1861. Their youngest child was Mary Barry, who died an infant in 1811. The couple’s only son, Richard Barry Radley, inherited his father’s estate and practiced law; his listed residence in 1837 was 39 Denzille Street, Dublin. At the young age of 37, in September of 1849, he died at his residence, Knockrour House. Though his property was not lost at the time of his death, all his stock, harvest and household furniture were seized due to a judgment of debt (Leader). Click to go to Amazon.com. In 1858, three years before her death, Mary Radley nee Milner-Barry put the Radley holdings of Knockrour for sale. 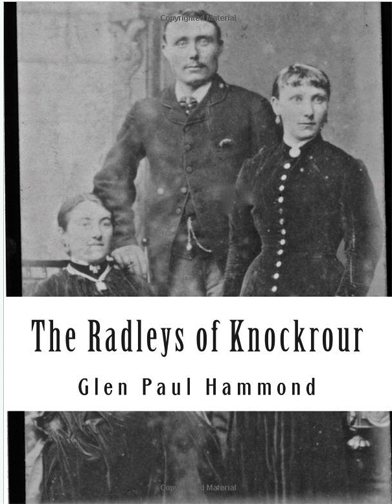 With its purchase, more than a two century connection between the Radley family and the property of Knockrour was lost, except for one small part that remains, to the present day, in the possession of a descendant of Richard Francis Radley, Esquire of Knockrour. A website devoted to The Radleys of County Cork is run by Lorraine Egan, a descendant of Thomas Radley. Dunlop, R. “The Plantation of Munster 1584-1589.” The English Historical Review, Vol 3, No. 10 (Apr., 1888), pp. 250-269. JSTOR. Web. 8 May 2013. Leader, Michael. Radleys of Cork. An unpublished manusxcript held by the author.